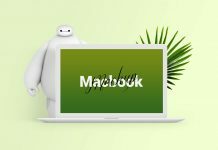 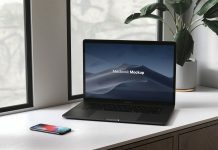 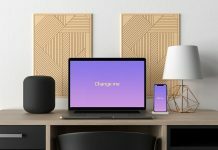 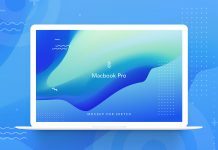 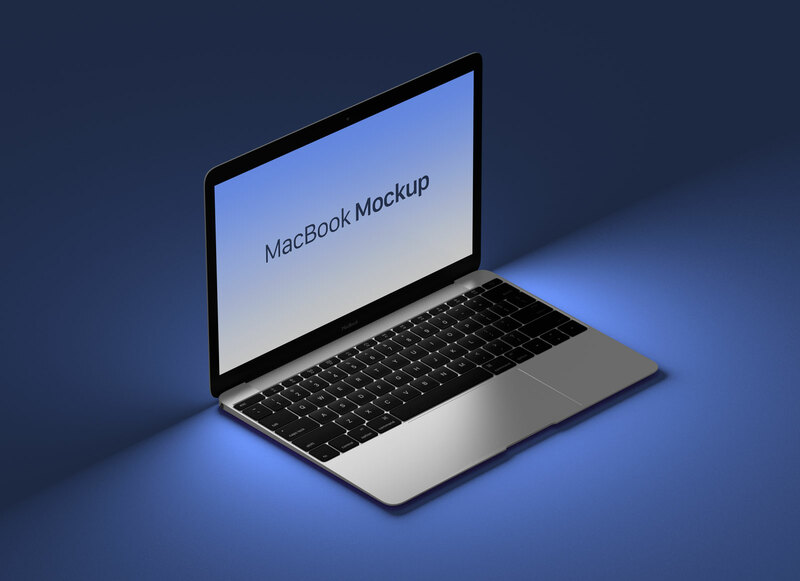 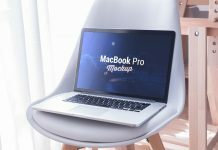 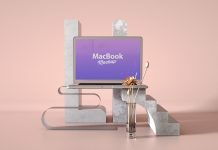 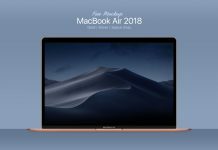 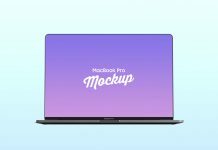 A perfectly crafted perspective view of Macbook mockup placed on dark background. 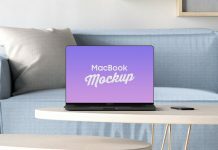 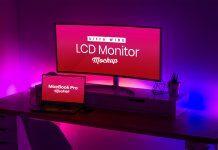 Mockup has come with a flat background you can get the same result like the image below by only adding a new fill layer above the last background layer and set the blending mode to color dodge. 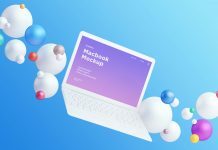 Change the color as per your website theme and receive a super cool effect.